When you hear location, location, location, this is exactly what you think about! 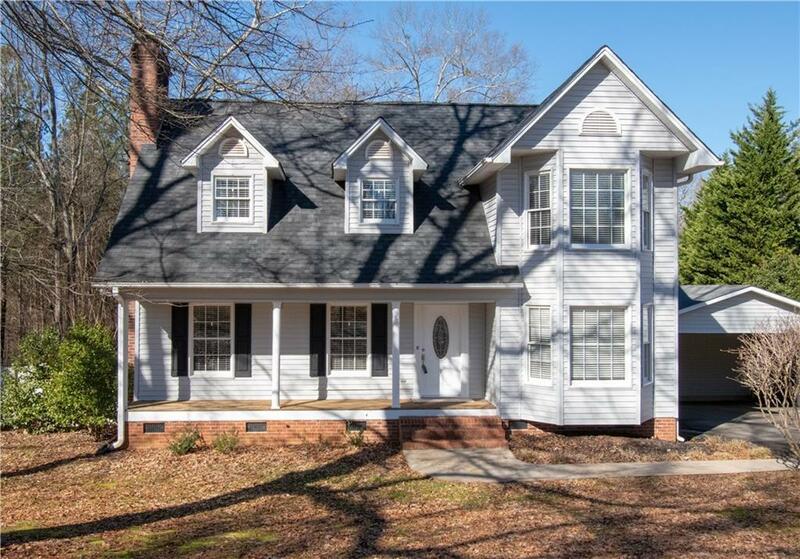 This 3 bed, 2 bath traditional style home is minutes from Downtown Easley. With updated flooring, granite countertops in the master bath, and massive bedrooms, you can not ask for more. Picture yourself relaxing on this updated screened-in porch, knowing, no one will ever build in your back yard. This property backs up to Easley First Baptists' beautiful wooded acreage full of wildlife, 100 year old oaks, and much more, all inside the city! This is your opportunity to get into one of the Upstate's fastest growing towns, at a unbelievable price! This is a lot of home, with a ton of property to go with it! Come see all it offers including: fenced in yard, newer roof, gas fireplace, modern updates, beautiful mature landscape, oversize bedrooms and closets, a 2 car carport, powered workshop and more!